In this article I will try to help you solve the Windows Update Error 80072ee7 which occurs when you try to download Windows Updates. The error code (80072ee7) itself means WININET_E_NAME_NOT_RESOLVED which tells you nothing at all if your not a tech geek or a Google Wizard. However the error itself is caused by Internet Settings which are not correct. 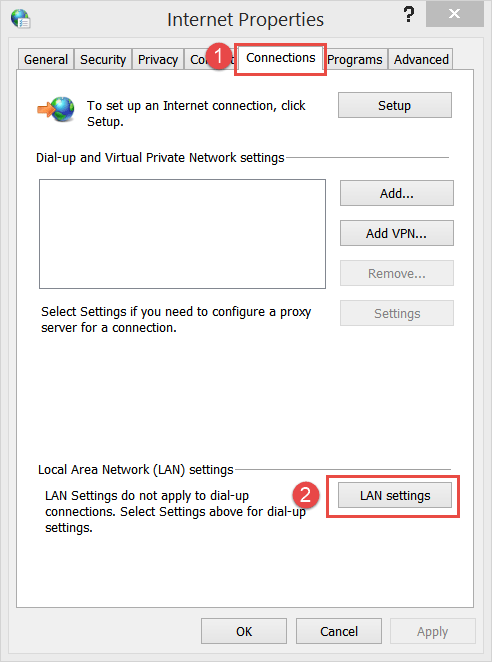 In this tutorial I will show you how to correct your internet settings to fix the error 80072ee7 from occurring when updating. However If this is the first time you are experiencing this problem you could try to wait a few minutes, or try to reboot your device and try it again. Make sure your connected to the Internet on the device you wish to update with, this is the main cause of this issue, if your viewing this article on the device with the problems then skip this step and continue to the next step. 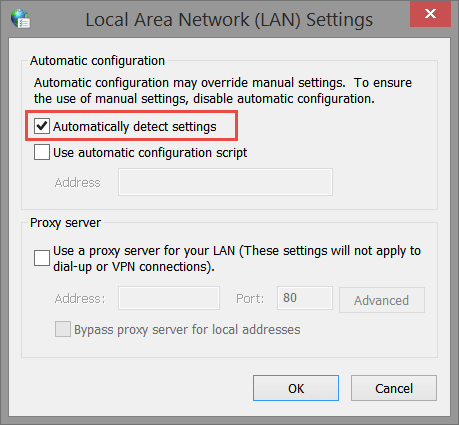 To make sure the problems (80072ee7) are not caused by wrong Internet Settings, we are going to set the Internet Options to Automatically Detect Settings. 3. Then check the box Automatically detect Settings and click on OK.
Hi Deb Wilson, I’ am going through this right now just what you went through…how did you resolve this? All of these instructions are great, but I cannot get the PC to even display Windows 10. It’s hung up in Windows Defender Offline and I can’t get it to load. I have been able to get to the system32 level of things by tapping F11 during a power on. I tried getting to the cmd prompt….did a chkdsk but that did not help either (don’t ask me why I did this, I think I read it in one of the posts I was looking at) . When I check the directory in C:\Windows\System32> and I do NOT have an msconfig.exe. Windows Defender Offline is the culprit giving me the 0x80072ee7 error.